Over the past couple of years in my conversations with people with dementia, I’ve come across a lot of confusion over MRI’s and the diagnosis of Alzheimer’s. Many were surprised to learn that their brain MRI’s were perfectly normal AND they had Alzheimer’s Disease. One woman was told by her physician that because her MRI was normal, she couldn’t possibly have dementia. 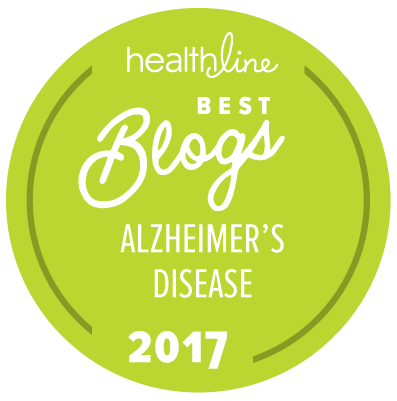 The truth is, especially if you’re in the early stages of Alzheimer’s, there will likely be no cellular loss visible on your MRI. You can be forgetting how to drive home a mile from your house and the MRI image of your brain can look completely normal. How can this be? It used to be the standard thought that amyloid plaques and/or neurofibrillary tangles got deposited in the brain, and these deposits “gunked” up the neurons and caused them to die. And this neuronal death caused Alzheimer’s. The cognitive deficits–the symptoms of dementia–occur BEFORE the plaques form, before the neurons die. In the brain of someone with Alzheimer’s, there is too much of a soluble protein called Amyloid Beta 42. Either too much is made or not enough is cleared away. When too much is present in the synapse, these individual little peptides stick together and form small oligomers. These oligomers of Amyloid Beta 42 lodge in the synapses and interfere with synaptic transmission—the ability of neuron #1 to give it’s electrochemical information to neuron #2. Through a complex molecular cascade, these oligomers are specifically impairing neurotransmission through NMDA receptors, a very important kind of transmission necessary for something called Long Term Potentiation. So these oligomers of Amyloid Beta 42 lodge in synapses and prevent good neurotransmission from neuron #1 to neuron #2. And behaviorally, new information isn’t learned. Or old information can’t be accessed. Synaptic plasticity suffers. Over time, because these synapses aren’t working properly and because of inflammation and other problems, those nerve axon terminals will retract. Eventually, unable to function, the neurons will die, leaving behind empty space (the atrophy seen on an MRI) and possibly heaps of Amyloid Beta 42 in amyloid plaques. So it all starts as an attack on the synapses. The degree of dementia correlates only with synapse dysfunction, not with neuronal loss, not with number of plaques, not with atrophy on an MRI. 4. Rip these already-formed oligomers apart. The beauty and the hope in all of these treatments—people suffering from symptoms of dementia can be treated BEFORE they’ve experienced any neuron death. If the synapses are fixed, neurotransmission can work again. Function can be restored!